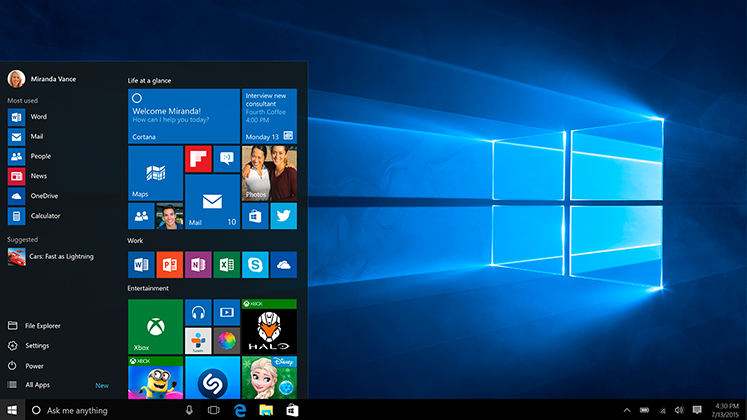 Spiceworks community forecasts Windows 10 enterprise adoption will get to 40% by mid 2016! The Spiceworks community, which consists of various IT professionals who examine operating system usage data have forecasted that Windows 10 enterprise adoption will get to 40% by mid 2016. According to Spiceworks’ most recent data businesses adaption of Windows 10 has got to approximately 18% even though Windows 10 was only officially released back in July of last year. At the moment Microsoft’s fastest adopted operating is Windows 10 which is fantastic news and means Microsoft should be well on their way to achieving 1 billion devices being powered by Windows 10 within 3 years of it’s launch!